Nations Press feature news This 63-Year-Old Filipina Works as UBER DRIVER.. But Faces Challenges with Passengers for Being Old. 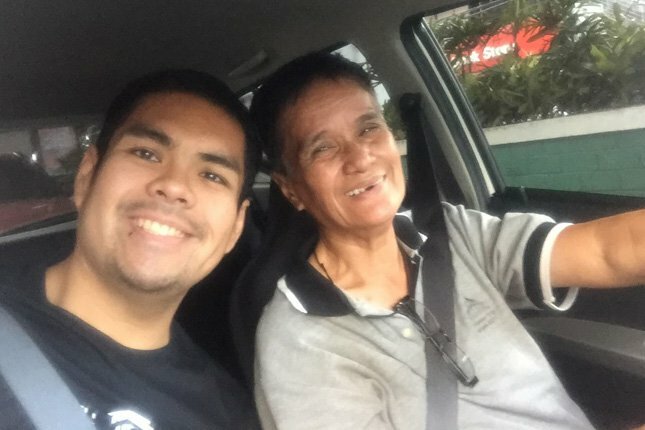 This 63-Year-Old Filipina Works as UBER DRIVER.. But Faces Challenges with Passengers for Being Old. SPONSORED LINKS Before its the husband responsibility to give financial needs and support their family. But how ever, reality now a days that some woman can do much better than man. Her story was shared on social media by Toyota Auto Club of the Philippines, Francis Samonte, who was quite surprised to have her as driver when he decided to avail of Uber after a medical checkup. She’s 63 years old and about the right age for retirement [early retirement starts at 60 years old] but Nanay Leticia works as Uber car driver to support her family but she faces a lot of challenges with customers for being an old woman. According to Samonte, he first thought that the driver wasn’t really old but just looked so in the photo; thus, he was surprised to discover that she was, indeed, old. She admitted that she’s 63 years old but couldn’t retire because she still has to support her sons and does not have savings for retirement; one of her sons works in maintenance department at the Central Bank while the other is jobless.